At Paramount we understand how difficult of a decision it can be to utilize a hospice service for a family member or loved one. Hospice care is not about dying, but rather the quality of living before we die. Paramount Hospice attends to the physical, mental, emotional, and spiritual needs of both hospice patient, and the patients’ family. How do we do this? The Paramount Hospice team is made up of physicians, registered nurses, certified nursing assistants, licensed therapists, social workers, spiritual counselors, and trained volunteers, offer their on- call services around the clock, 24 hours a day, 7 days a week. 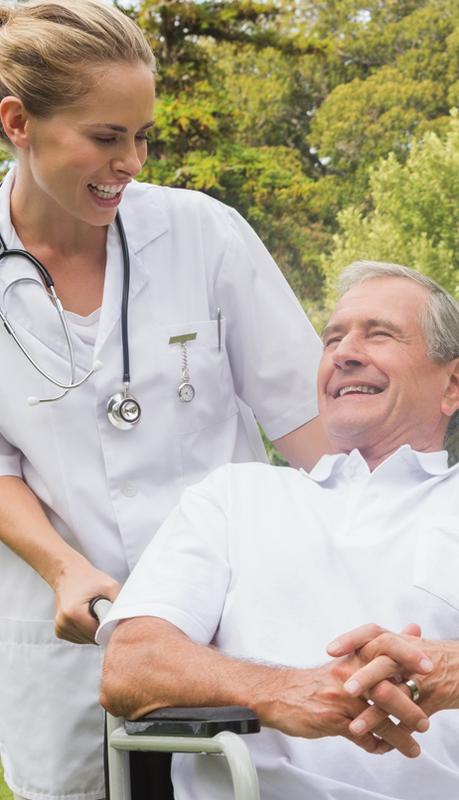 Hospice care focuses on providing the maximum level of comfort to our patients. Hospice care treats the person rather than the disease; it focuses on quality rather than length of time. If a patient makes a recovery from an illness, he/she can be removed from the hospice service and continue if need be, at a later time. The Paramount Hospice team is honored to provide the highest standard of hospice care to you and your family. Our hospice company promises to deliver services that promote dignity by enriching the quality of life of our patients and their families. Please allow Paramount Hospice the honor, to get to know your loved one. We want to do all that we can to comfort both patient and family in this time of need, and to provide the absolute finest in Hospice Care.